Multi Level marketing (MLM) or Network Marketing is one of the best possible ways to make money online. Here, you earn a commission for each customer you refer, by linking to participating services, products, or offers! Even though you could add these income generating affiliate links to any WordPress websites or themes, selecting a theme that has been created especially for this purpose has many advantages. A productive MLM software enables you to manage your network marketing business smoothly! And same is the case with WordPress MLM templates too! Here, you can choose an elegant theme of your choice for the MLM Software Development. One of the exciting characteristics of these WordPress themes is that they make it very easy to publish professional looking reviews. These reviews can highlight the best and worst aspects of each item, along with other useful features such as product comparisons, star ratings, video and images galleries, and lots more. Other features which are included in the given below WordPress MLM templates include fully responsive designs, a wealth of theme options and customization controls, and also some bundled premium plugins. Some of these are themes are also available as part of multi-template theme clubs. And hence if you are interested to buy more than one theme, definitely have a look below. Choosing a purpose built affiliate theme, plays an important role for the success of your WordPress website. 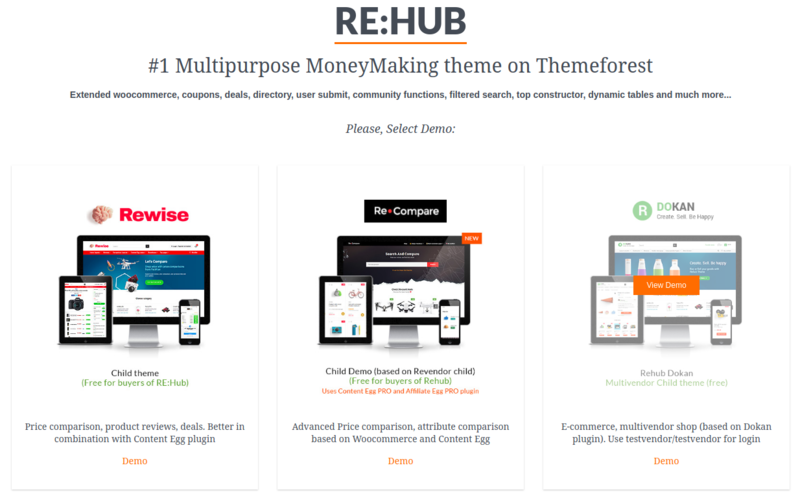 REHub is one of the best themes for WordPress websites when it comes to the MLM templates. With a lot of product related display features, REHub makes it easy to add reviews, comparisons, and other product showcasing features to your WordPress website. REHub is the perfect choice, whether you are featuring products on a strictly affiliate basis, or you are selling your own items from your website. REHub provides full support for two of the leading ecommerce plugins for WordPress, namely, WooCommerce and Easy Digital Downloads. With the help of these two plugins, you can list products you are promoting as an affiliate along with your own inventory. So that it ensures maximum sales and money making opportunities. REhub affiliate theme is a pretty flexible theme and you can configure your website in multiple formats, let it be a regular format, magazine layout or an online store format. The theme also provides you a number of affiliate related plugins, like creating product comparison tables, as well as managing your outbound affiliate links. REHub would be the best option for you, if you are planning to generate an income online from affiliate commissions. Since they have a fully modern design and lots of affiliate related features. 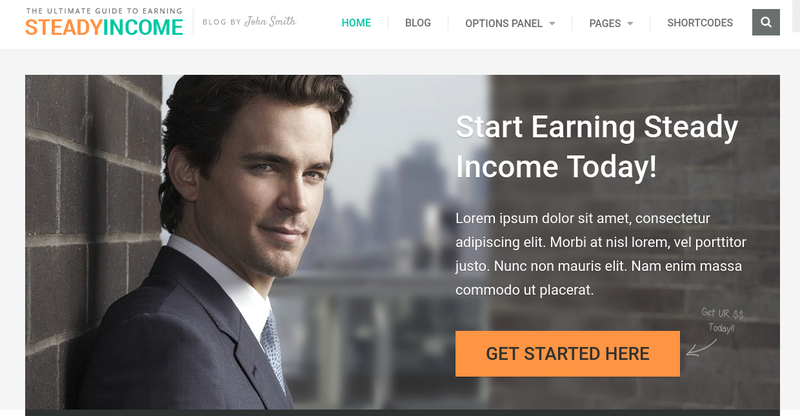 SteadyIncome theme is designed especially for building websites that earn revenues through affiliate programs. It is one of the fastest loading themes around. A fast loading page have many benefits compared to the slow ones. Fast loading themes result in higher conversion rates and improved rankings in the search engines. And never forget these are the two metrics that every affiliate marketer and website owner should focus on. Some of the exciting features of the theme include: an email list building tool, unmissable featured product displays, stylish social media icons, and fully responsive design for all mediums. Compare is a great choice for anyone who wants to let the products, services, and other offers they are promoting take centre stage. Compare would be a perfect choice for the people who want your affiliate site to close resemble a professional price comparison destination, or even a corporate ecommerce store – with all the features to match and compare between the various products under the same category. Rethink theme was updated only recently to version 2. Also, the present version of Rethink has some great features on offer to help you build the perfect affiliate website. Some of the very useful tools for publishing product and service reviews can be found in this theme. Also, it provides the option to compare items. Rethink theme handles product reviews so perfectly, so that it makes much easier for the visitors to quickly find the best deal for the product they are interested in. This also increases your chances of earning a referral commission from their purchase. This theme combines a stylish design and feature set to help you build a professional product review website with great earnings potential. 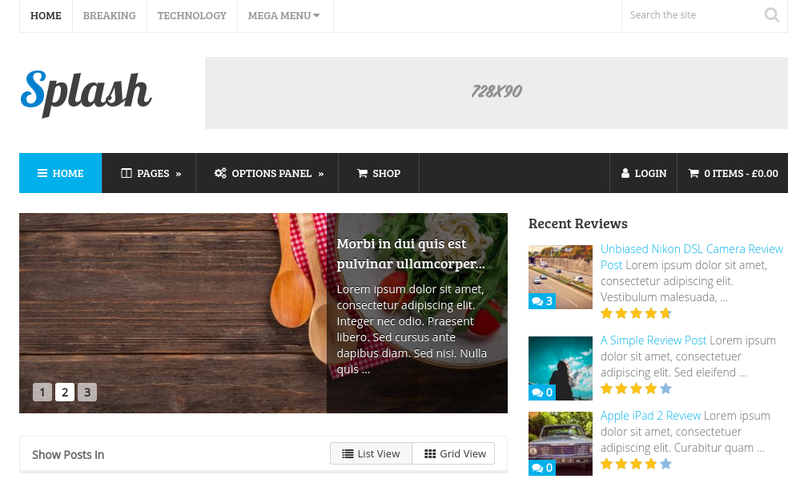 Splash is another high performance WordPress theme available in the market right now. 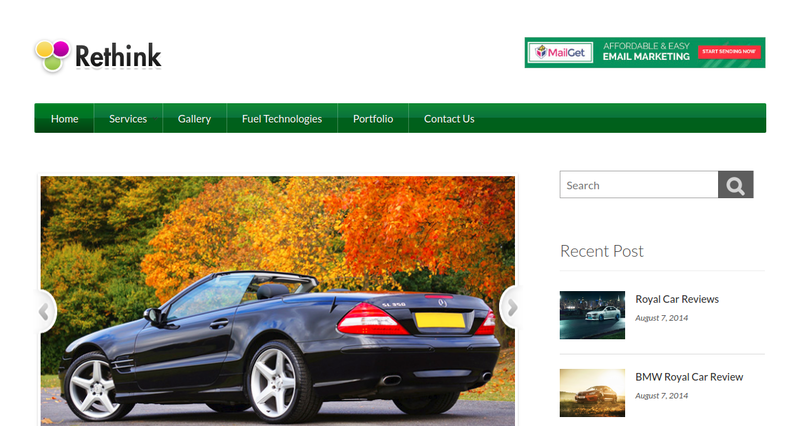 They do have a flexible layout and a clean and modern design. And also have some of the fastest loading times around. Splash could be the best choice for anyone who wants to let their product reviews stand out on the page. Voice comes in a number of layout options, and you could choose the one you finds perfect. And in case if you are planning to create an affiliate website with WordPress, the full width layout with cover image is a good choice. The theme comes with a good selection of shortcodes. These shortcodes enables you to insert a range of elements into your content, including progress bars, font icons, a library of buttons, tabs, and even column layouts. Voice theme will definitely creates interest to those who plans to create content on a regular basis that earns return with affiliate links. The above given are some of the best free WordPress MLM templates available in the internet today. 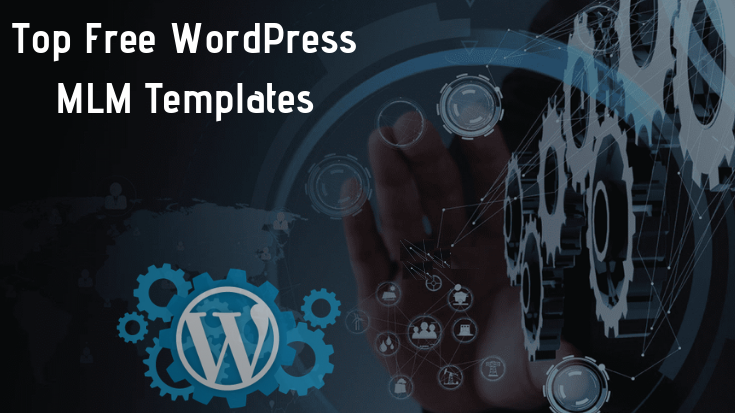 If you are so serious about getting the best returns from your MLM business online, then give a try of any of these WordPress MLM templates. Try WP MLM Software Plugin to run a WP MLM network with your WordPress website.